We continue to work together to uplift the standard of life for our most disadvantaged members of our community and society at large. The goal for the current TONCA administration is to encourage and actively get involved in a recruitment drive. When you think of the poorest nations on earth, one country stands out in the hearts and minds of many - Sierra Leone. Battered by a severe economic decline, social unrest, and a destructive civil war that has ravaged the nation for many years, Sierra Leone, as acknowledged by the UNDP HDI (Human Development Index), is the poorest country in the world today. When you talk about Sierra Leone, you can't help but wonder how over 70% of the country's population can survive while living below the poverty line. They not only have a severe economic problem, they also have unimaginable health problems - a good percentage of which can be attributed to their inability to find clean drinking water. Most of the water the people use come from polluted sources. Poor education and poor sanitation account for many of the problems ailing the country today. Here at Tegloma NorCal Chapter, we understand the needs of our less fortunate brothers and sisters in Sierra Leone. As the toughest country to survive in, they need all the help they can get from all of us and from other people across the globe. From decent healthcare, education, food supply, water supply, and other basic needs, we need to work together and go hand in hand to provide them with the support they need to achieve a better quality of life. Here in the United States, we are very fortunate to live free, healthy, comfortable lives. We are provided with more opportunities in all aspects of life; from education, income sources, government services, clean water supply, abundant food security, every aspect of our daily life is so much better than the best they could afford in Sierra Leone. This is why we knock on the hearts of kind-hearted people to join us in helping uplift the lives of men, women, and children in Sierra Leone today. We are provided with more opportunities in all aspects of life; from education, income sources, government services, clean water supply, abundant food security, every aspect of our daily life is so much better than the best they could afford in Sierra Leone. This is why we knock on the hearts of kind-hearted people to join us in helping uplift the lives of men, women, and children in Sierra Leone today. TONCA was admitted to the Tegloma Federation Inc. on July 1st; 2000, as its twelfth Chapter among the current 24 sister organizations of Sierra Leoneans at home and in Diaspora (USA; UK; Canada). The organization is cross-cultural and its membership is not restricted to any race or geographical location. 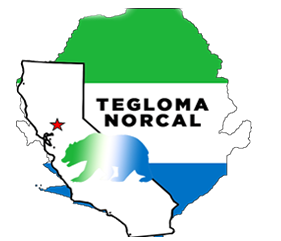 Established in 1999, Tegloma NorCal Chapter is a Sierra Leone charity organization that seeks to provide help to the people of Sierra Leone in the form of school supplies, educational scholarships, volunteer work, and others.